Did you know the Surface Pro 4 isn’t Microsoft’s latest flagship tablet? 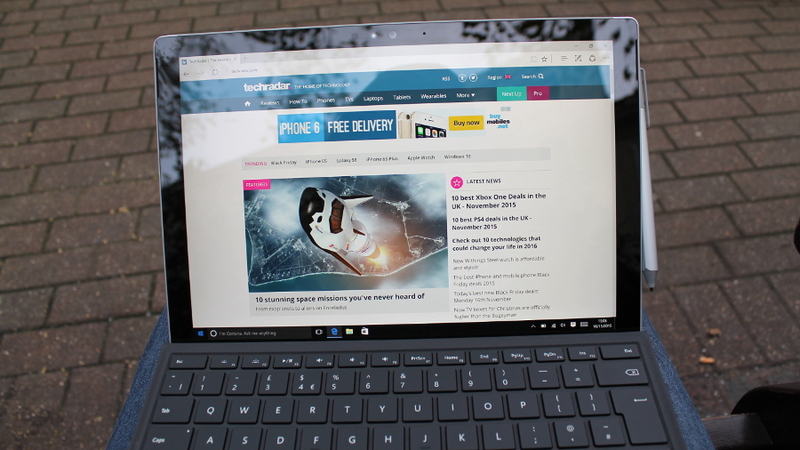 No, that honor goes to the new Microsoft Surface Pro – now, read our Surface Pro review! Our ‘essential review’ of the Surface Pro 4 contains all of the highlights (and lowlights) of Microsoft’s 2015 Windows 10 tablet. It’s intended as a more digestible summary of our full-length review, in that it shouldn’t take more than half a minute to read. 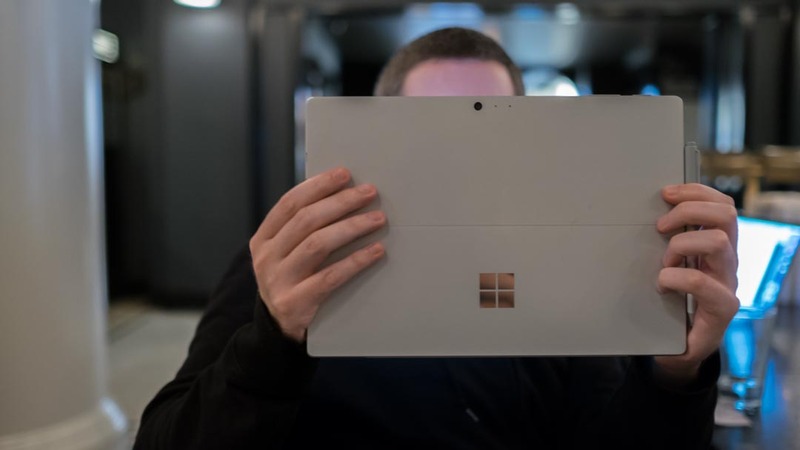 While it isn’t the the hottest Surface on the block anymore, the Surface Pro 4 is still worth considering – even if there are rumors that a new foldable tablet version of the Surface might be incoming. When the Surface Pro 4 launched in October 2015, it was hailed as the natural progression of the Surface Pro bloodline. Nearly three years on in 2018, it still holds up extremely well, and although you won’t find it brand new on store shelves these days, a cheaper refurbished model is certainly worth picking up. 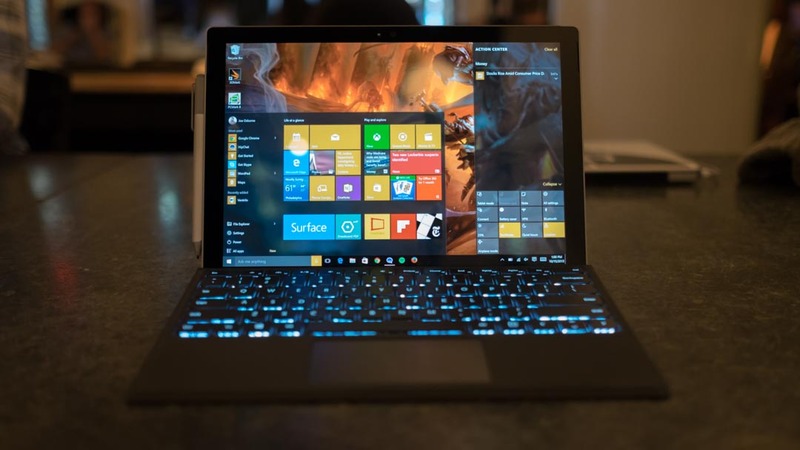 At the time of writing, the new Surface Pro costs noticeably more than a similarly specced Surface Pro 4 that’s been refurbished by the manufacturer, undoubtedly a major selling point for the older of the two. 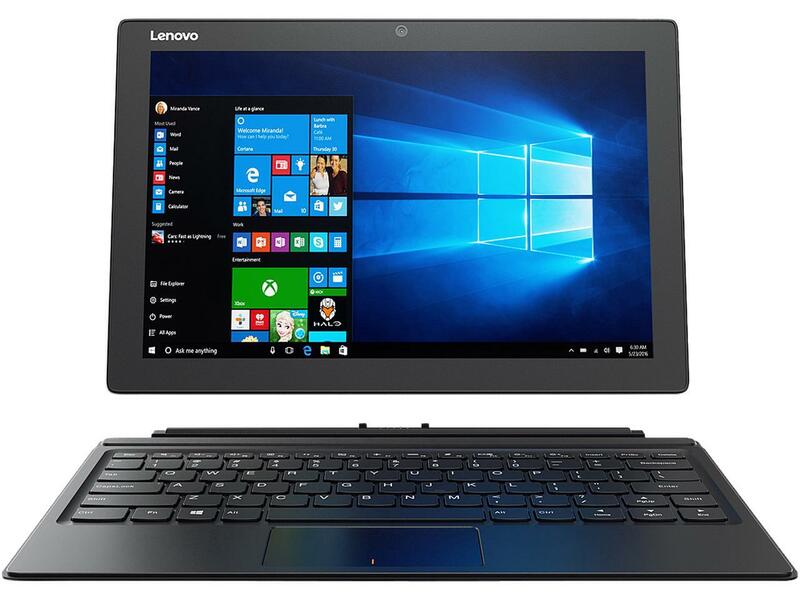 For a 2017 model configured with an Intel Core m3 processor, 4GB of RAM and 128GB of solid-state drive, or SSD, storage, you can expect a price point of $799 (£799, AU$1,199). The ageing Surface Pro 4, on the other hand, can be had for the same exact price on Amazon in the US and includes a more powerful 6th-generation Intel ‘Skylake’ Core i5, 4GB of memory and a 128GB storage drive. Even better, you can buy the entry-level, Core m3 model certified refurbished for $649 (£579, about AU$812), $150 (£120, about AU$387) less than the Surface Pro 2017 counterpart. Unlike the Surface Pro 3 that came before, the Surface Pro 4 runs Windows 10 instead of Windows 8 by default. It’s a huge benefit considering all that Microsoft’s greatest operating system is capable of. Most notably, tis the last numbered iteration of Windows, so instead of throwing down your cash every four years or so for a major overhaul, you’ll get iterative updates throughout the year. The next of which is Windows 10 Redstone 4, or the Spring Creators Update, which may introduce Windows 10 S Mode, so you won’t have to pay to upgrade to a full-fat version of Windows 10. It’s likely we’ll see the Spring Creators Update on April 10, if reports are to be believed. And, it looks like you can even download it right now, you’ll just have to sign up for the Windows Insider Program. The most recent revamp is known as the Windows 10 Fall Creators Update, which boasted great additions like Game Mode and OneDrive Files On-Demand. Internally, this was known as ‘Redstone 3’ prior to its official launch back in October 2017. The next in the series, ‘Redstone 4’, will allegedly be called the Spring Creators Update, according to several leaked Insider Preview builds that contain the moniker. 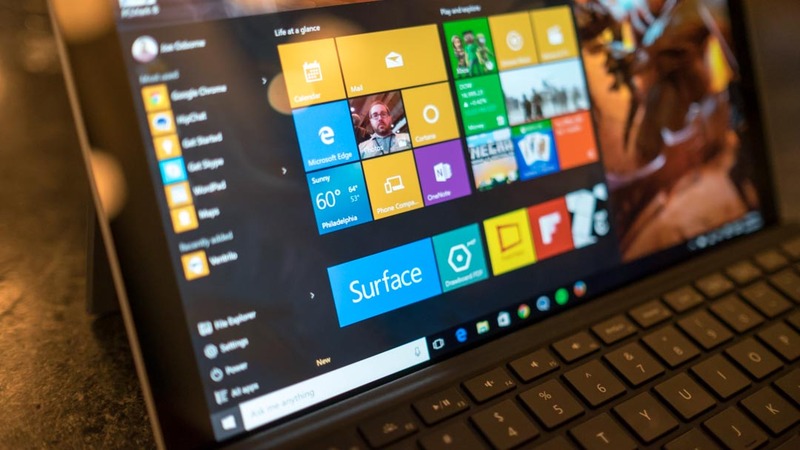 It’s expected that the next version of Windows 10 will introduce developments in artificial intelligence (AI), gaming, HDR video and security to the Surface Pro 4 as well as other devices like it. The latest news is that it’s purportedly coming out in April 2018. 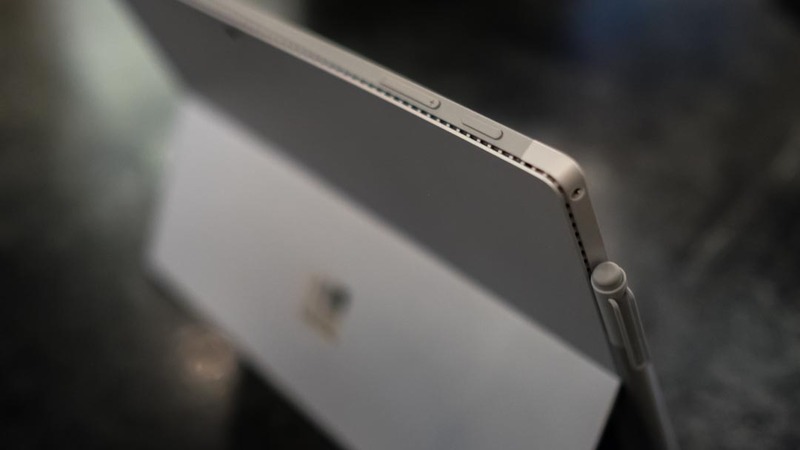 Otherwise, to catch you up with its history, the Surface Pro 4 managed to introduce more levels of pressure sensitivity and a host of buttons to the signature, but sold separately, Surface Pen. Likewise, the Type Cover keyboard is heavier and more satisfying to the touch, while the screen resolution was bumped all the way to 2,736 x 1,824, making it 216 pixels per inch (ppi), as opposed to the 128 ppi display of the 13-inch MacBook Air. With the Surface Pro 4, Microsoft was more concerned with perfecting an already-successful design rather than making any bombastic innovations. That’s why it basically retains a similar look and feel to that of the Surface Pro 3, albeit with a few minor refinements including a new chrome-laden Microsoft logo and a chassis more than half a millimeter thinner than the previous generation. Microsoft Surface Pro 4: Who&apos;s it for? Should I buy it? If you can’t stand the massive, unwieldy size and price of the Surface Book 2, the Surface Pro 4 is not only a worthy alternative, but an excellent first choice for creative professionals constantly on the move. It’s cheaper than the new Surface Pro if you buy it refurbished, and it’s nearly as good. 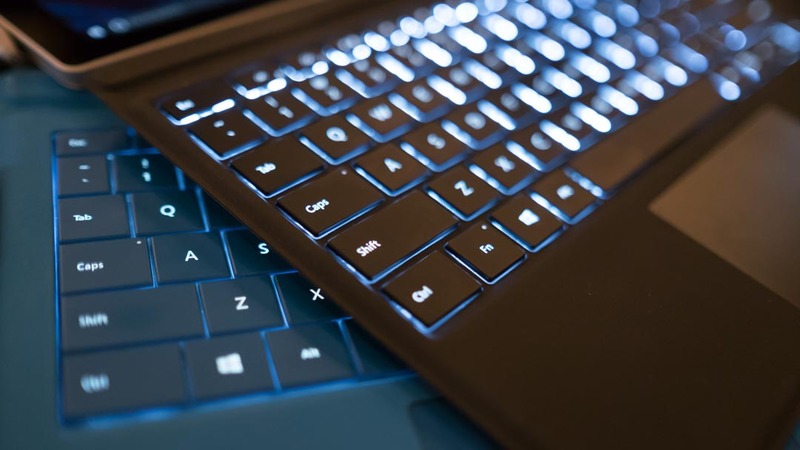 Although there are admittedly shortcomings when it comes to the battery life of the Surface Pro 4, it still holds up as a product that we can safely recommend to Windows tablet newcomers and veterans alike. As a ‘Pro’ device, the Surface Pro 4, of course, ships with Windows 10 Pro pre-installed (a $199/£219/AU$339 value). That goes without mentioning the Surface Pro 4’s gorgeous screen, which is crystal clear when pitted up against its predecessor. The Type Cover might be sold separately, too, but it’s satisfying to the touch nonetheless. As we glossed over before, the battery life lasting only 3 hours and 15 minutes in the PCMark 8 test is pretty unacceptable for a tablet, but the zippy internal components more than make up for the frequent need to charge. Having come a long way since its reveal two years ago, the Surface Pro 4 has seen considerable improvement in that time. The aforementioned Windows 10 Fall Creators Update, for example, is now available to download and install. Aside from our previous utterances, it comes with a helping of new features you’ll grow to love and appreciate such as the Apple AirDrop-inspired Near Share and ‘Find My Pen’ for clumsier artists. As we continue to await a multitude of changes yet to come, including a potential Surface Pro 5 redesign in the coming months, there is still some work to be done to appease the current Surface Pro 4 install base. That said, the Surface Pro 4 is markedly cheaper and better than its newly teased ARM-based rivals. 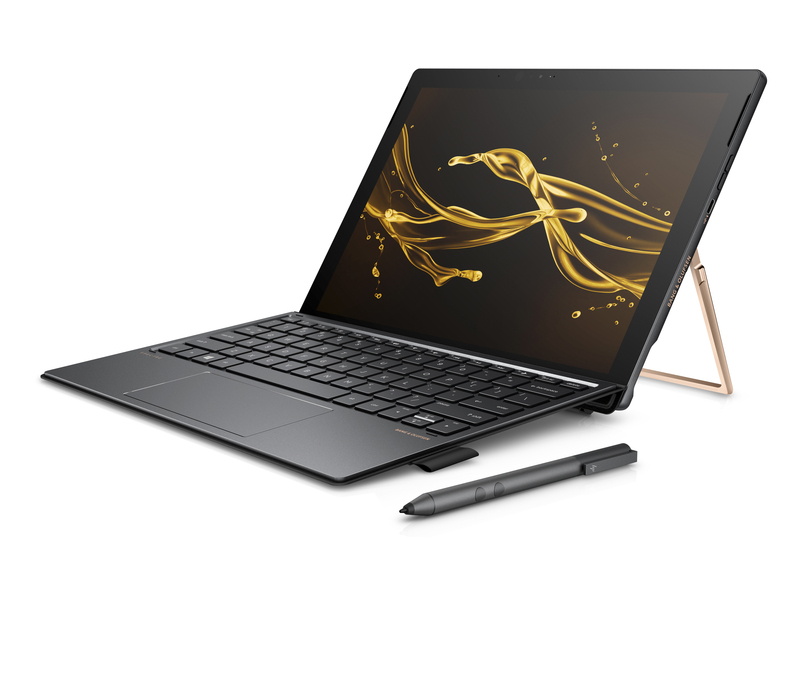 Seeing as the HP Envy x2 is now up for pre-order, you may have anticipated a lower starting price than that of Microsoft’s tablets due to its use of the Qualcomm Snapdragon 835 processor found in a lot of Android phones these days. Unfortunately, that’s not the case. For the time being, you’re better off waiting for the Asus NovaGo if LTE functionality is what you’re after. Meanwhile, the Surface Pro 4 is only $50 more and features twice the storage and more powerful specs. Just like last time, the same all-magnesium, uni-body casing is still here, though the &apos;Surface&apos; logo has been replaced with Microsoft&apos;s new logo in chrome. Microsoft managed to up the device&apos;s screen size by a few hairs, from a straight 12 inches to this year&apos;s 12.3 inches, without affecting its footprint at all. In fact, the firm shaved more than half a millimeter off of its thickness, from 9.1mm to 8.4mm – all while fitting full-fat mobile processors. As for how this was done, the capacitive Windows button said goodbye, thus the extra room for that three tenths of an inch in the display. Then, Microsoft brought the screen&apos;s optical stack – the series of sensors, diodes and pixels beneath the glass – even closer to the glass now, a key point of Microsoft&apos;s trademarked PixelSense screen technology. The display is thus incredibly responsive to touch, and the further sensitivity it brings to the stylus experience is huge. In tandem with the improved Surface Pen, the screen detects 1,024 levels of pressure, even during a single stroke. Now, let&apos;s talk resolution. Even though it didn&apos;t have to, Microsoft increased the Surface Pro 4&apos;s resolution from 2,160 x 1,440 (216 ppi, or pixels per inch) to 2,736 x 1,824. That makes for a huge 267 ppi for the Surface Pro 4, which blows a key rival, the MacBook Air (128 ppi for the 13-inch), out of the water and just barely beating out out Apple&apos;s 12.9-inch iPad Pro at 264 ppi. More importantly, the new screen proves to be way more luminous and more color accurate than the Surface Pro 3 display at all brightness levels. This is obviously going to be a pretty big deal for any designers or artists that are looking to upgrade from the Wacom tablet and calibrated monitor combo. For the rest of us, this means more realistic-looking movies and more vibrant photos and games. That&apos;s despite even thicker black bars sandwiching your favorite films in 16:9 – and even more so for those in 21:9, or widescreen format, thanks to the 3:2 aspect ratio that remains from last generation. It&apos;s a fair concern for folks that watch plenty of movies and TV on a tablet. But fear not, workers, for you&apos;re the very reason Microsoft made this decision. The 3:2 aspect ratio is a middle ground between 16:9 and 4:3 that is ideal for both photo and design or drafting work, wherein 3:2 is much more common, as well as getting computational work done, given the extra vertical space. In addition to the aforementioned 1,024 levels of pressure sensitivity, the new-and-included Surface Pen is redesigned to feel more like a pencil. The stylus now has one flat side, as if a Number 2 pencil had all but two of its angles rounded off. This version is even more comfortable to hold than the last as a result – your index finger rests just above the main function button on the flat end. Secondly, the left side of the frame is coated with thin, powerful strip magnets that allow it to cling onto the tablet&apos;s left side. The age of stylus loops is over. The Pen also sports a new, functional eraser button up top that does what it says on the tin, but has three more functions. In addition to opening OneNote with a single press, the button now takes a screenshot and then opens OneNote with a double press. Finally, a long press summons Cortana to help you out. Microsoft seems to have expertly weighted the Surface Pen to make it feel not much heavier than your average clickable pen, despite all of the tech inside. 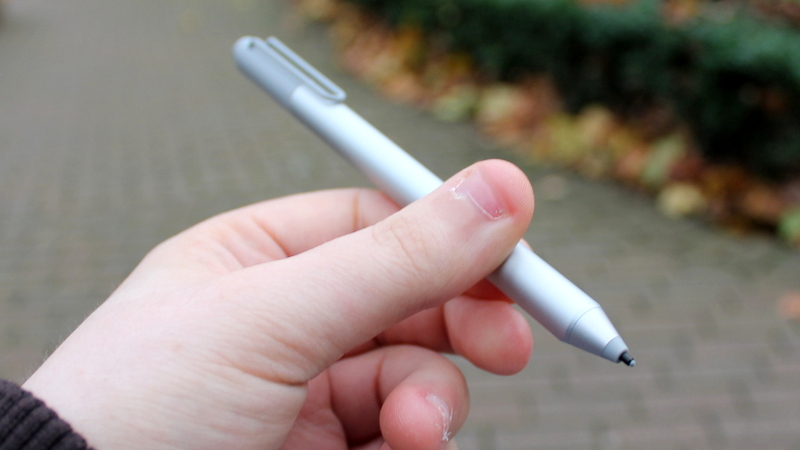 Plus, now Microsoft offers additional pen tips right out of the box. Coupled with Microsoft&apos;s PixelSense display, the duo makes for the best stylus experience we&apos;ve had on a tablet yet for as little as we&apos;re wont to use it. 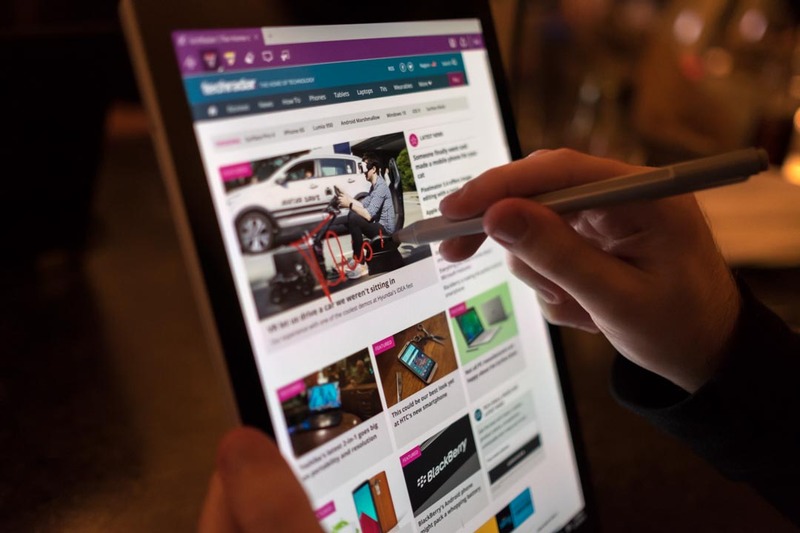 While we&apos;re neither artists nor designers, the screen&apos;s superb palm detection and the accuracy and nuance of the Pen tracking give us confidence that the Surface Pro 4 is Microsoft&apos;s best shot at luring in that crowd yet. These improvements pale in comparison with Microsoft&apos;s new-and-still-not-included Type Cover. This time around, Microsoft took a chiclet-style approach. This makes keeping track of which keys your fingers are on by feel much easier, and it allows for each key to be individually back lit. 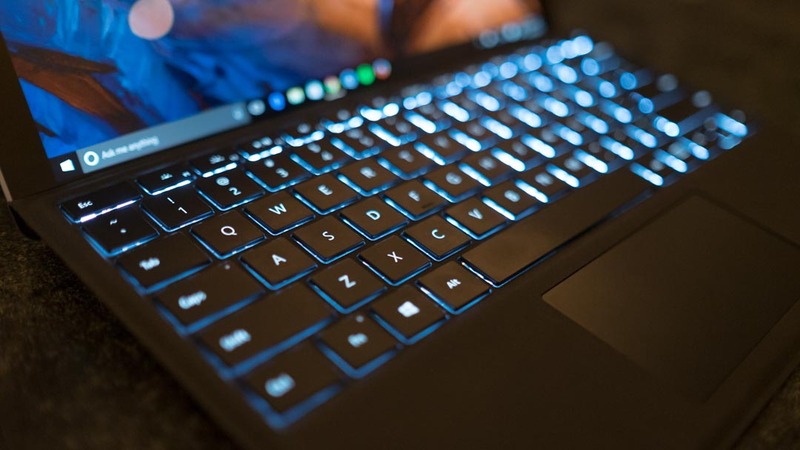 The new Type Cover is also thicker and far more rigid than before, allowing for deeper key travel and punchier feedback – not to mention a sturdier, quieter surface to type on – that brings it so much closer to a true laptop keyboard. Microsoft also widened the touchpad and coated it in glass rather than plastic. Finally, Microsoft has a version of the Type Cover with a biometric Fingerprint ID for $159 (£149, AU$249). The new keyboard cover is only available in black and uses to login to the Surface with a fingertip press. The scanner can also authorise app purchases from the Windows Store, and because the keyboard is backwards compatible, it can be used with the too. Every performance score here, save for PCMark 8 Home, shows a minor increase from the first unit I tested. It&apos;s a good sign that the Surface Pro 4 was already operating at its peak, and that only the battery needed fixing. The Surface Pro 4 bested the 2015 HP Spectre x360 in almost every test by roughly 25%. As for the 13-inch MacBook Air, its multi-core Geekbench 3 (which tests CPUs primarily) score is plenty short of what the Surface achieved. Ultimately, don&apos;t expect to see a major difference between how any of these three machines perform day-to-day, though the MacBook Air will last way longer on a charge. If anything, you might get slightly better frame rates out of games played on the Surface Pro 4 than that 2015 Spectre x360. 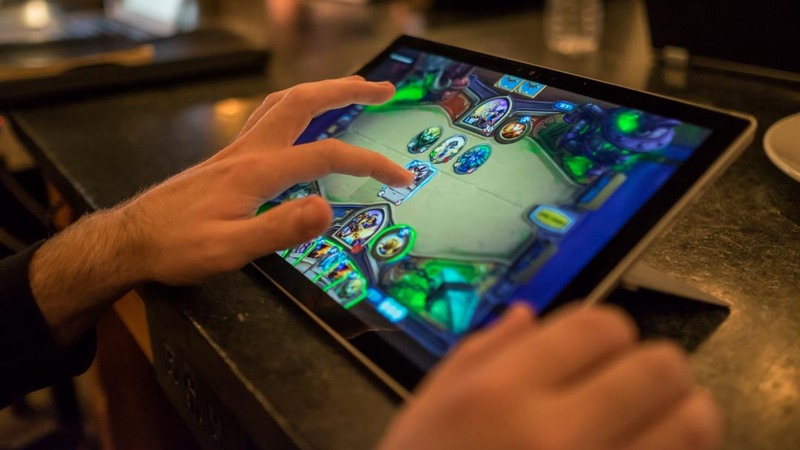 If you&apos;re curious, the Pro 4 runs Hearthstone (our go-to tablet testing game) without a hitch on its highest settings, even at an automatically-adapted resolution. Plus, the color-calibrated display makes every element on the game&apos;s interactive play boards that much more distracting. Tested on pre-production hardware that we were promised has been scrubbed of its battery woes, the Surface Pro 4 produced far better battery life results than at the onset. Unfortunately, they&apos;re still well below not only Microsoft&apos;s own claims, but what choice rivals are able to put up. While arguably the most harsh battery test in our lineup, PCMark 8 Home Battery saw the Pro 4 last 3 hours and 15 minutes, a marked 50% increase from before. Still, the Spectre x360 held out in that test for 4 hours and 38 minutes. Microsoft&apos;s tablet fared much better on our video playback test, lasting 5 hours and 15 minutes. That&apos;s enough to last you on most coast-to-coast US flights. In a similar test, the MacBook Air was able to stream 1080p video over Wi-Fi for a whopping 13 hours and 24 minutes. Though, that&apos;s thanks to a far lower-resolution display and likely a larger battery. Regardless, Microsoft promises up to 9 hours of video playback, and these numbers aren&apos;t close. Sure, these figures are far better than last year&apos;s Surface Pro 3, despite the serious screen resolution bump, which should not be overlooked. But, they still can&apos;t hold a candle to neither Apple&apos;s leading laptop nor its top tablet – much less comparable Windows hybrids. Longevity is then about the only thing holding the Surface Pro 4 back from truly, honestly replacing your laptop – or at least your MacBook Air specifically. Otherwise, the machine offers somewhat below-average lasting power. 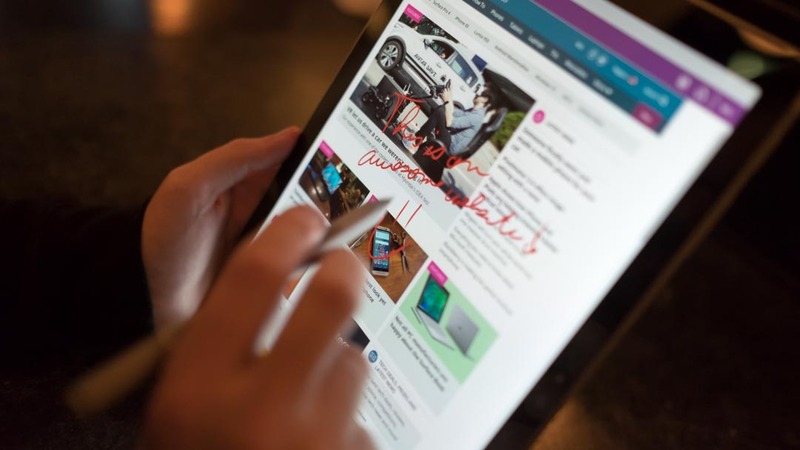 : With an incredible display, long battery life and all of the essential accessories in the box, this tablet all but requires you to make liberal use of Samsung’s phone-exclusive syncing and biometric login features via Samsung Flow, its key selling points. Just mind the lack of Windows Hello. 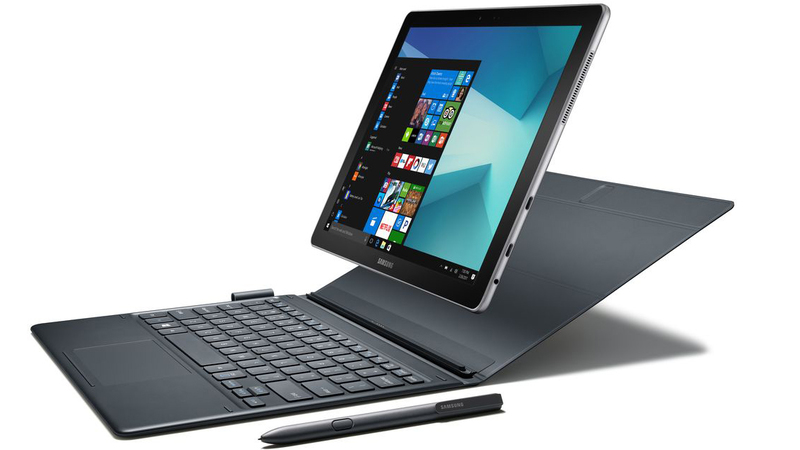 : A great price, USB-C and USB 3.0, and an included keyboard cover make the Miix 510 an appealing option. While there are a couple of reasons (battery, screen) why you’d go for the Surface Pro 4 instead, but the Miix 510 offers an awful lot for the price. But, again, what&apos;s counting against it is considerable. : Its unique kickstand, even sharper IPS screen and hardier included keyboard cover help the Spectre x2 stand out. You&apos;ll stay for the impressive spec sheet and premium. That said, it&apos;s too bad that the stylus doesn&apos;t come included with this device, unlike its rivals. This is likely the biggest rival to the Surface line today.